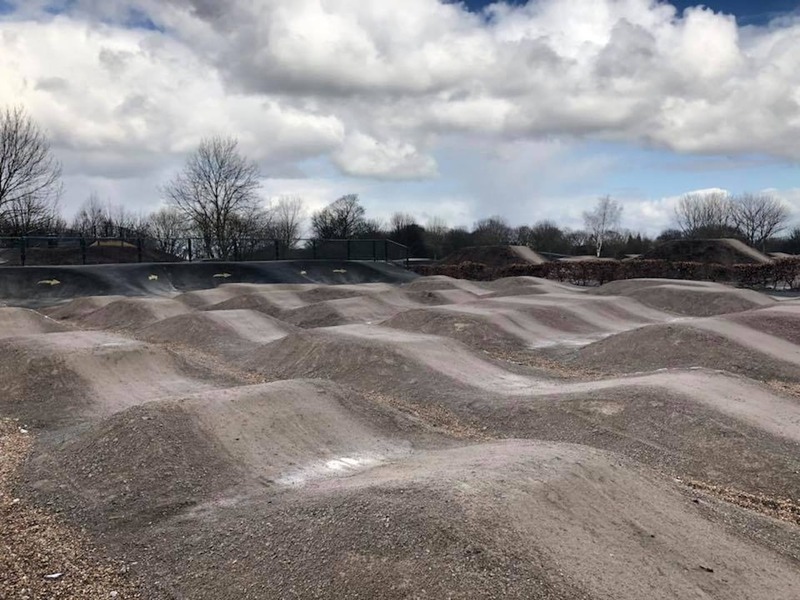 Whether you’re looking for a fun family day out on the bikes, a solo adventure, somewhere for skills practice, or a place to meet your mates for a ride, Leeds Urban Bike Park seems to cater for all. This £1.2 million development built on the former Middleton Park golf course offers riding for all levels and disciplines. 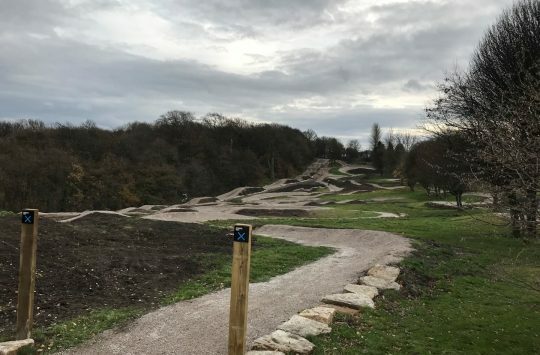 Upon opening, the park boasted 4x tracks, jump lines and pump track sections and now also includes a cross-country circuit through the woods. This new circuit isn’t the final development either, there are still more sections being built. 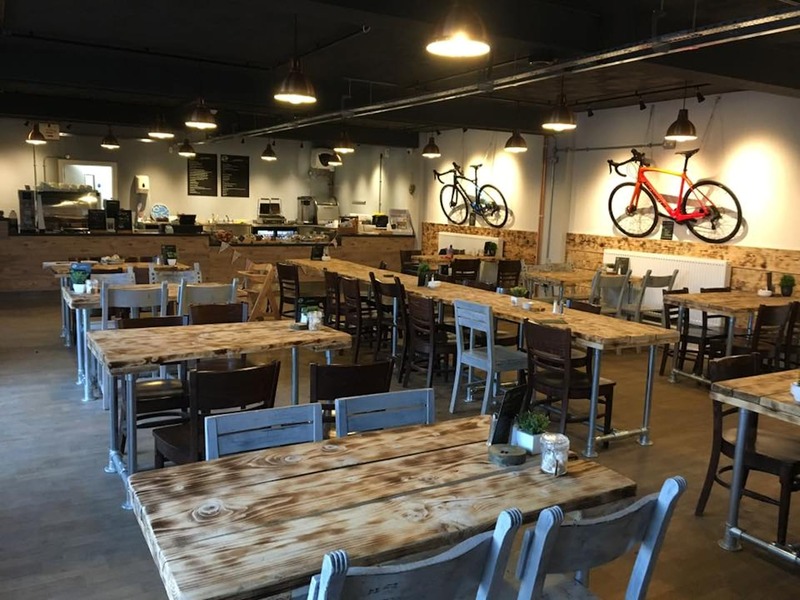 The site includes a large cafe (great coffee, excellent scones!) with a generous amount of indoor and outdoor seating. The outdoor seating conveniently overlooks the smallest pump track, great for parents wanting to keep and eye on the little ones. You can also hire bikes for any ages. Having such a wide variety of tracks at varying levels makes it a great place to build up skills and confidence. 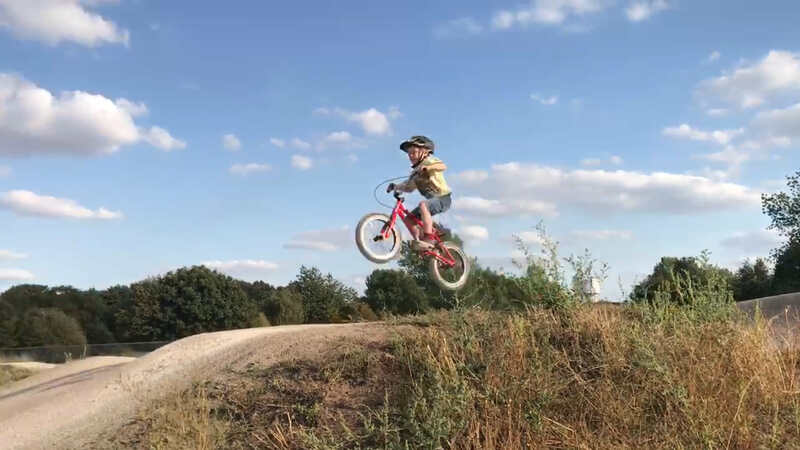 For some, it’s a chance to give a new style of riding a try. 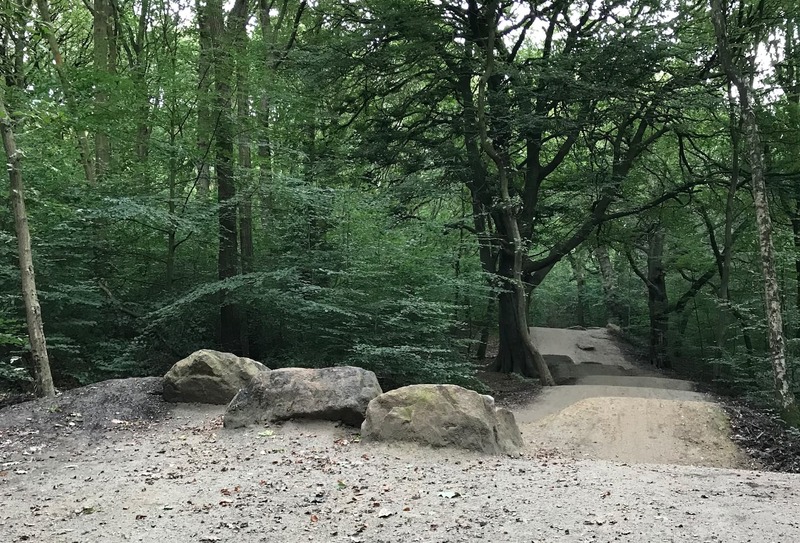 The woodland trail is beginner friendly, well signposted and loops back onto itself allowing you to make your ride as brief or as long as you like. 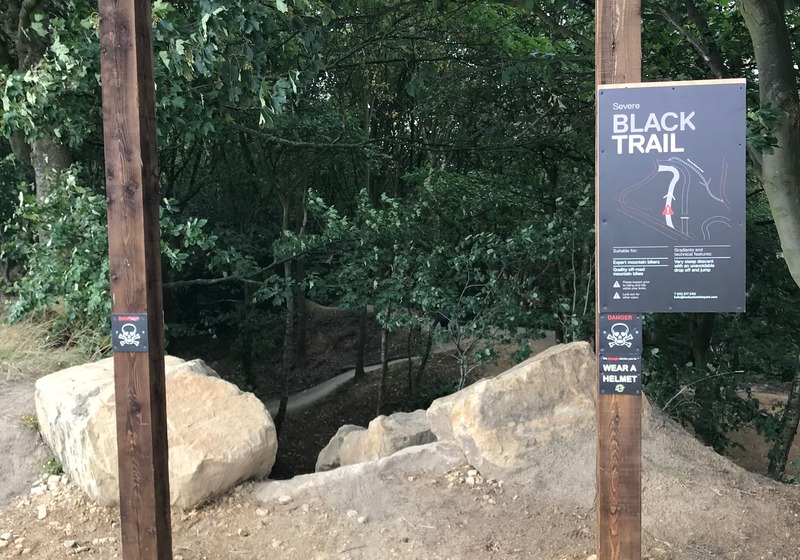 There are optional black lines of varying difficulty, some just steep and others with mandatory drops, so even the more advanced riders can find a new challenge. Several of the trails in the woods have been there for years, built by locals and adapted by the park. All the trails are linked together with a fire road – great for easing your little ones into their first mountain bike ride! 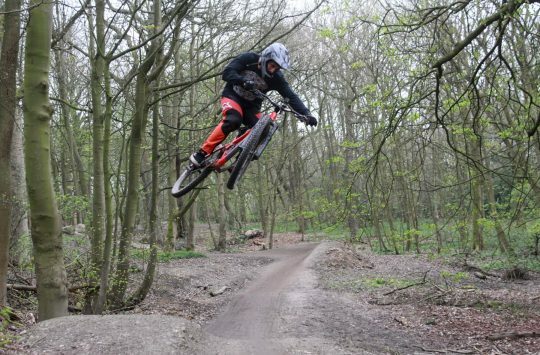 Leeds Urban Bike Park is one of the finalists in the ‘Best Trail Centre’ category of the Singletrack Reader Awards. Head over here to check out the other finalists and cast your vote. Blimey that looks good. Wouldn’t it be great to see these sprouting up all over the place! Would certainly encourage more kids to get into the sport. Sweet I’ve been waiting for the XC trails to open, I’ll ride to work tomorrow and nip in on the way home, or maybe on the way to work, or both if it’s any good!! 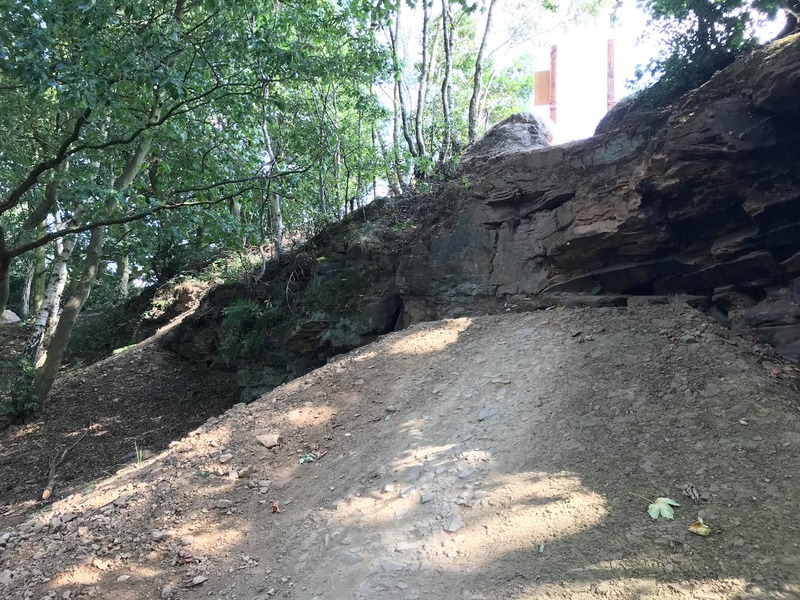 The guys at LUBP have done a great job and the new trail in the woods are as good as in any trail centre in the country imo, compact, (full loop in less than 15 mins) really well made, carries good flow with numerous line options to session and build up skills and confidence, and all for free, which means everyone should have some cash for coffee and cake. After watching the video myself and a pal thought we’d give it a go, firstly the fry up in the cafe was top notch, fry up, toast and coffee for £5, a great start. 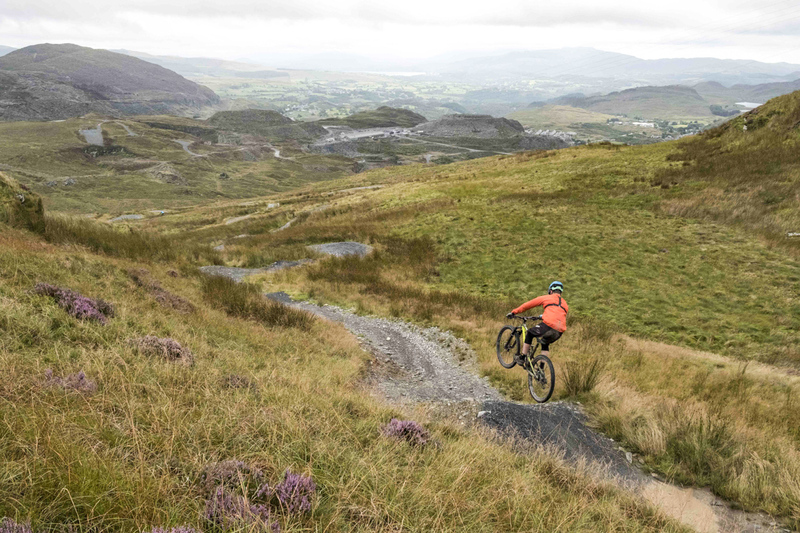 The trails are fabulous, not congested, easy to navigate and as difficult or easy as your mood takes you, great that most sections loop back on themselves so as you can hit particular sections numerous times. If it hadn’t been for Hannah’s video I would never have bothered, so thank you for opening my eyes to the city gem on my doorstep, I think I saw Mr Chipps himself today, Sunday 23rd, taking it all in, here’s hoping it wins it’s category in the Singletrack awards as it would bloody well deserved, MINT!